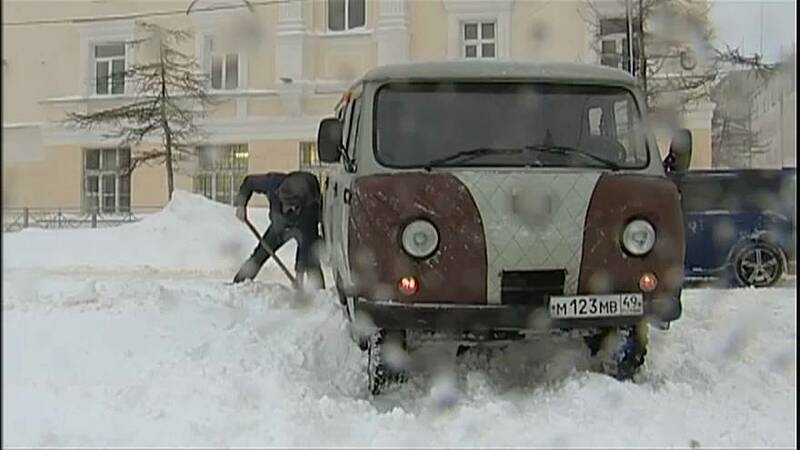 Some schools were closed and flights cancelled in the Magadan region of Russia on Monday due to a major storm. Heavy snowfall caused severe difficulties for traffic in the area. Numerous cars were stuck in the snow on Monday, with drivers desperately trying to dig them out. Some of the regional highways were temporary closed due to bad road conditions and a warning was issued to drivers. Rescuers were working on clearing the roads and helping those who were stranded in their cars.